Eliade was educated as a philosopher. He published extensively in the history of religions and acted as editor-in-chief of Macmillan's Encyclopedia of Religion. The influence of his thought, through these works and through thirty years as director of History of Religions department at the University of Chicago, is considerable. 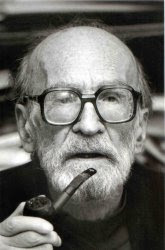 Mircea Eliade was born in Bucharest, Romania on 13 March 1907. Although Romanian records give his date of birth as 28 February, this is according to the Julian calendar, since the Gregorian calendar was not adopted in Romania until 1924. Eliade’s Orthodox Christian family celebrated his birthday on the Day of the Forty Martyrs, which is 9 March by the Julian calendar, and Eliade himself gave that date as his birthday. Despite a childhood interest in entomology and botany (which doubtless first attracted his attention to Goethe, a lifelong role model and inspiration), he developed an interest in world literature and was led from there to philology, philosophy, and comparative religion. As a youth he read extensively in Romanian, French, and German, and around 1924-25 he learned Italian and English to read Raffaele Pettazzoni and James George Frazer in the original. After the Second World War, during which he served with the Romanian Legation in the UK and Portugal, Eliade was unable to return to the newly communist Romania because of his connection with the right-wing Ionescu. In 1945 he moved to Paris where his acquaintance with George Dumézil, an important scholar of comparative mythology, secured a part-time post for him at the École des Hautes Études at the Sorbonne teaching comparative religion. From this time on almost all of Eliade's scholarly works were written in French.